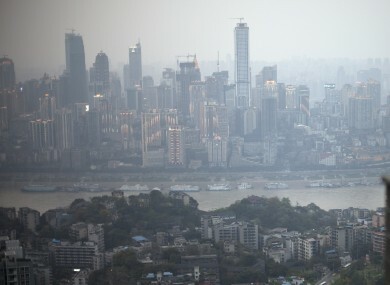 POLICE IN CHONGQING, China, have shot dead a serial killer suspected of murdering nine people. Reuters reports that the 42-year-old man, Zhou Kehua, was a fugitive suspected of killing nine people in different provinces. He was shot dead outside a factory and a photograph of his dead body was shown on State TV. Thousands of members of the police and military forces took part in the latest manhunt, which took place after the man killed a woman outside a bank last week. The Wall Street Journal said that police described Kehua as “ruthless and dangerous”. According to the Daily Mail, Kehua targeted people who were taking money out of banks. Police spotted him in surveillance footage in a store in Chongqing on Saturday, which led to the latest activity. A manhunt took place in the mountains near Chongquing in recent days, but the paper says this was believed to have been a tactic to make Kehua think police were not on to him. Email “Serial killer shot dead in China ”. Feedback on “Serial killer shot dead in China ”.